The 2018 Honda Clarity Plug-in Hybrid has been officially rated as having the highest all-electric range among all midsize plug-in hybrids following fuel economy testing by the Environmental Protection Agency (EPA). The new five-passenger Honda, which launches at dealerships around the country late this year, was rated as being able to go 47 miles on a full charge. Additionally, it earned an EPA-estimated fuel economy rating of 110 MPGe combined, putting it at the top of its class, as well as a gasoline-only rating of 44 mpg city, 40 mpg highway, and 42 mpg combined. 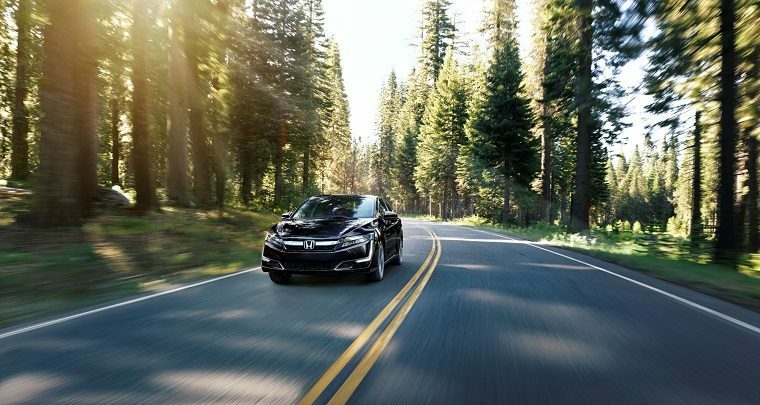 The advantage of the Honda Clarity Plug-in Hybrid is that, once you have traveled those 47 miles, the 1.5-liter Atkinson-cycle four-cylinder engine kicks in to generate more electricity and take you as far as 340 miles on a single tank of gas. For most people, however, 47 miles is more than enough to cover their daily commute and thus to significantly reduce their trips to the gas station. Better yet, the Honda Clarity is surprisingly sprightly for a plug-in hybrid sedan. The electric motor alone makes 181 horsepower and 232 lb-ft of torque, drawing power from both the gasoline engine and a 17-kWh battery pack that can recharge in only 2.5 hours.